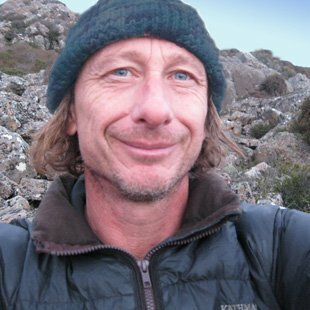 Company Director Mark Norek was born and bred in Tasmania, and has a passion hiking ever since he was president of his high school bushwalking club. Mark started walking with his wife Vicki and to get her to walk more often he would add the finer things in life to the walk so that she would come along and do it more often .. such as footbaths, bottles of wine and her favourite liquer Bailey’s for her! They also wanted to offer the best accommodation and fine dining in the area as we currently do on our Three Capes walking tour Plus we wanted to walk each of the Three Capes. However as the Cape Pillar section takes 4 days to walk, it is not possible to walk all three capes and therefore they thought it would be best to see Cape Pillar by helicopter or boat. Mark and Vicki have carefully designed all our tours to give good value and quality in Pack Free walk, so you carry as little as your camera, water and raincoat (if required). Our guides are all passionate and are incredibly sociable and proud of their state, and this comes through with their guiding of the area. Enjoy the walk, and feel free to share your photos with us of your memorable experience. Born and bred in Tasmania, from an early age Mark was exploring the great outdoors. He is fully qualified Level 1 Flatwater Kayak and Canoe Instructor and holds a Outdoor Recreation Certificate IV, a Leaders Wilderness First Aid (LWFA) (7 days – 60 hours) , Remote Area First Aid ( 3 days – 24 hours) and a current Senior First Aid. He has an Award in Administration Training – The Duke of Edinburgh’s award and studied a 4 year Bachelor of Physical Education, has an Advanced Diploma in Sports Management and a Masters in Marketing (Business) from University of Technology, Sydney. These days Mark spends most of his time office based running the business, but occasionally you might be lucky enough to see him out on tour, training staff. Vicki has had 10 years experience working for SCENIC one of Australia’s leading touring and cruising companies as National Marketing Manager. She is an outdoor enthusiast with a passion for exploring the world such as walking the Inca Trail in South America, The Milford Track in New Zealand, the Tatra Mountains in Poland plus much more. She’s kayaked with the seals in New Zealand, paddled through the waters of Croatia and explored the many beautiful must-do walks within Australia. 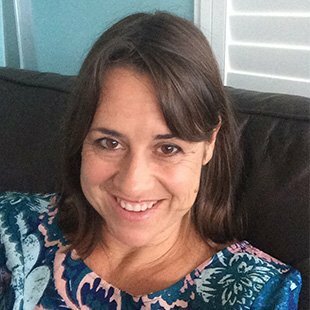 Vicki is based in our Sydney office looking after Marketing, Operations and Administration. Ann our Accounts Manager is always on the look out for an adventure whether that’s with her gorgeous family of 5 or her good friends. She strongly believes in the right work/life balance. 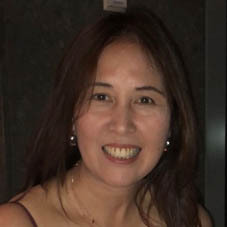 With a total of 25 years working experience in various small, medium and large corporations she has amazing skills in all facets of accounts and financial planning. You’ll find beautiful Brittany in our Operations Team. 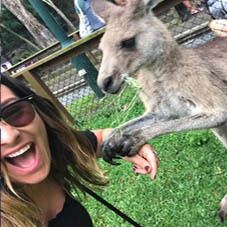 Brittany has a passion for organising ‘above and beyond’ quality tours to ensure our clients have the best experience whether it is there first time in Australia or locals exploring their own backyard. She has completed a Certificate in Administration and is currently studying a Certificate 4 in Accounting. She is always committed to assisting and advising what tour is best for you and answering any questions you may have about your upcoming Life’s an Adventure experience. Canadian born and bred Lindsay is in charge of our Reservations. You’ll find her bubbly personality a pleasure to deal with when calling our office to enquire about a tour or make a booking . With a background in hospitality and a passion for the outdoors Lindsay is a great addition to our team. She has a love for snowboarding, hiking and adventure as well as living on Sydney’s Northern Beaches with her Aussie partner. Guide Kate is an outdoor adventurer, nature enthusiast and qualified guide with a background in journalism, PR and events. In a former life, Kate was a corporate professional with eight years experience in journalism and five years as a public relations manager. Then one adventurous day, sitting atop Sealy Tarns and overlooking New Zealand’s Mt Cook, she decided there was more to life. 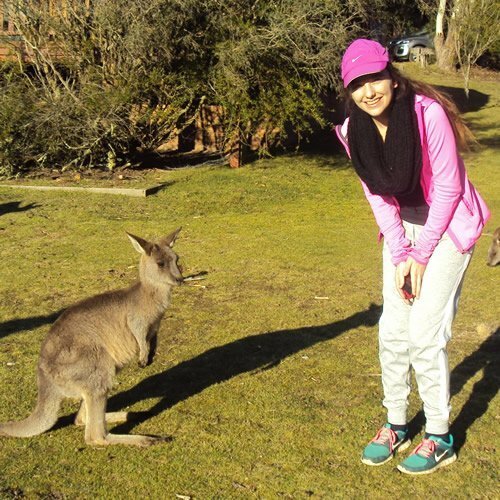 After returning to Australia, she quit her job and commenced studying a Certificate IV in Outdoor Recreation with Tafe NSW. 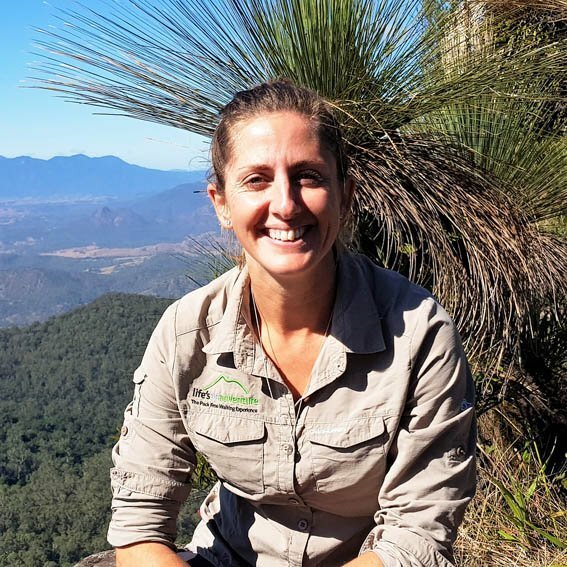 With qualifications in Remote Area First Aid, Navigation, Bushwalking and Multi-Pitch Abseil and Canyon guiding, Kate is now living the dream leading our New South Walks and Queensland tours. When Kate is not sharing her infectious passion and love for the outdoors with our clients, she is training for the next triathlon or working with school students to complete their Duke of Edinburgh. Richard has been a keen bush walker since his early teens leading friends and workmates throughout Victoria. 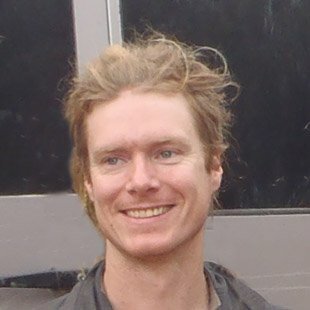 In the 1990s he qualified with a Bushwalking and Mountaincraft Leadership Certificate and was urged by those that assisted in his course practice to form a walking club. Little did he know the interest was much wider and the group undertook abseiling, skydiving, paddling, wind-surfing and other activities unassociated with Richards’ love of the bush. There has also been a love of travel to factor in and he has been on African safari, climbed Mt Kilimanjaro, explored Angkor Wat, snorkelled the Great Barrier Reef, dropped into the Grand Canyon to name a few adventures. Richard keeps fit and healthy to keep up the fast pace of his wife and children in pursuing similar escapades. 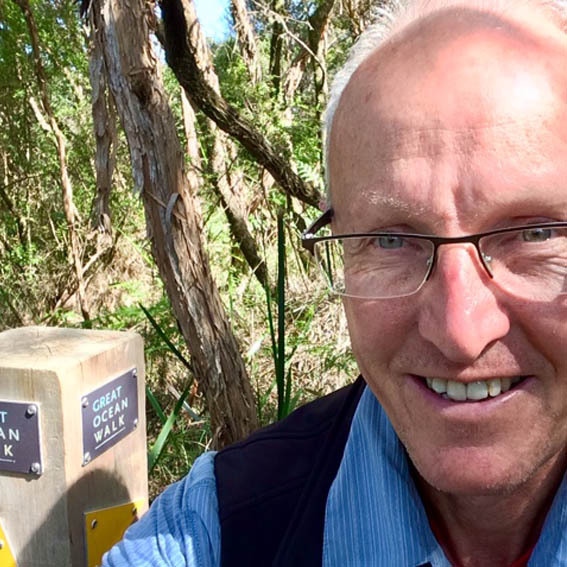 Turn the clock forward and Richard has abandoned the office after nearly forty years of public service and is very happy to have become that other type of CEO…the Chief Experience Officer specialising in the full range of walks with WOW factor for lifesanadventure across Victoria. He relishes the time showing off our great national parks, the tracks through them and all that the environment has to offer. Betina Crooks is a country girl at heart having grown up in country NSW. She completed three degrees over eight years on a sports scholarship in the USA. She has had a great corporate career but knew the outdoors was where she belonged! 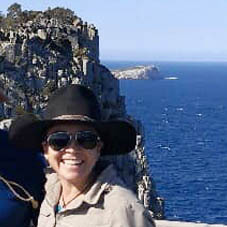 Having competed in ultra marathons and always wanting a challenge, she completed one of the worlds 20 greatest hikes last year – The Larapinta Trail (223km over 12 days solo) and the rest as they say “is history.” She threw in her corporate career for the great outdoors becoming a tour guide in Central Australia and has excelled ever since. Using her background in exercise physiology and personal training she kept her clients safe and happy over the desert summer in 40 degree + weather. We are excited to have her with our team at Life’s an Adventure not only working across the Top End over the Winter but in Tasmania and Western Australia. Danny hails from Tasmania, the progeny of a Mainlander who travelled to the windswept southern state for a series of bushwalks and is yet indeed unlikely ever to leave, ensnared for decades by its beauty. He likes to think that stability derives from movement, hence he finds the peripatetic nature of his job pretty darn great. Danny is part of our Tasmanian team and is loved by our guests for his exceptional ability to make everyone feel welcome and his amazing ‘Can Do Attitude’. 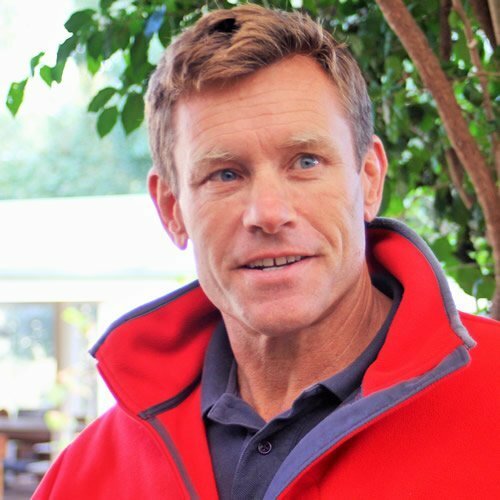 With nearly three decades experience working around the world in luxury hotels & resorts, but more recently a solo kayaking odyssey of over two thousand kilometres around New Zealand’s North Island, various cycling expeditions including one across the Himalayas, trekking in Patagonia, and a documentary filmed inside the Arctic Circle of Russia’s northern-most reaches, Gynes’ motto could well be ‘Life’s An Adventure’! He says the thing he loves most about the job however, is the personal interaction and an opportunity to educate with liberal doses of fun and laughter. Dan grew up in the Blue Mountains and loves leading Life’s An Adventure clients on the classic Six Foot Track three-day walk between Katoomba and Jenolan Caves. When he’s not taking people bushwalking in the Blue Mountains, he can sometimes be found guiding on the Larapinta Trail or the Royal Coast Track for Life’s An Adventure. 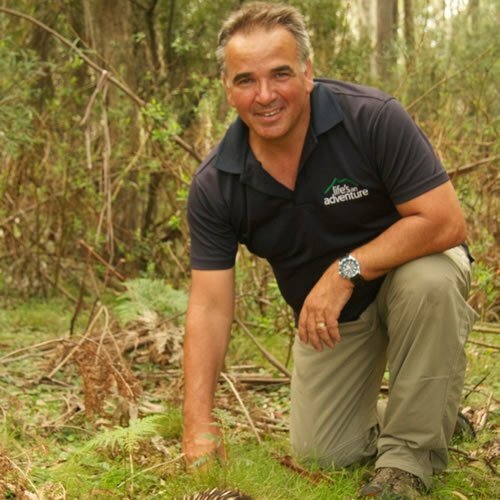 Prior to becoming a qualified outdoor guide in 2013, Dan was a journalist at The Sydney Morning Herald for more than 20 years. The research and story-telling skills he learned in the media he uses in his guiding work to make every trip as special as possible. 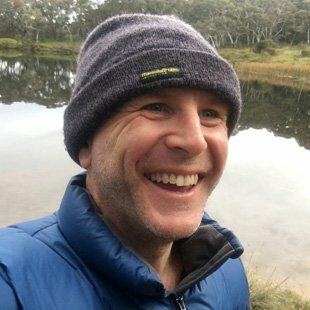 Dan also still works as a writer and takes people canyoning, abseiling, mountain biking and rock climbing in the Blue Mountains. 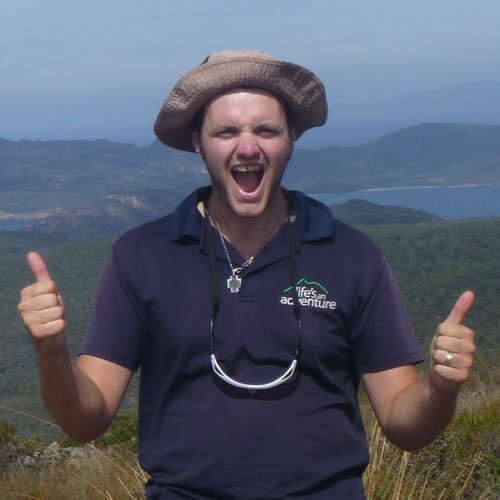 Barrie has had over 5 years experience in Adventure Based Learning and tourism, with a previous 5 years in youth work. A proud father and husband, he is passionate about his home state and enjoys sharing it with others. Some of his favourites are Encampment Cove on Maria Island, Crater Lake at Cradle Mountain and “Mermaids Cove” Bay of Fires. With a good sense of humour, he keeps spirits high with the odd tune or quote as he guides his guests along the trail. Paddling has been a passion for Ian all his adult life. Starting with White water and Kayak Surfing in The South Island of New Zealand and changing to Canoe polo and Kayak Surfing shortly after moving to Australia. 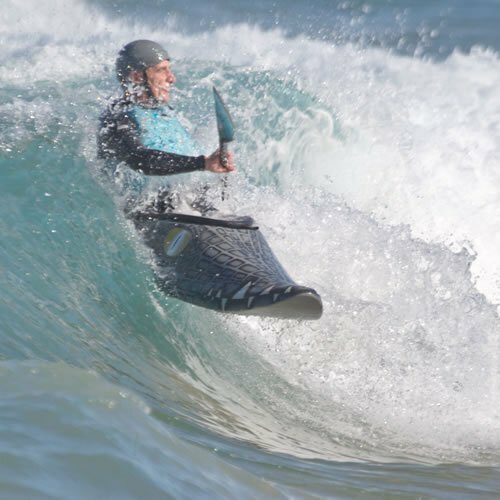 He began competitive white water slalom paddling in 1976 and has been a regular member of the NSW Masters and Veterans team from 1997 to 2009, the Australian Veterans Team from 2005 to 2009 and the Australian Masters team in 2015. He also won a Bronze Medal for Canoe polo in the World Masters Games in 2009. With his passion for kayaking and his amazing knack for relating to all guests no matter what age, Ian has become one of our most popular kayaking guides. Licensed to conduct Adventure activities on the Six Foot Track – Licence No SFT -08/W1.